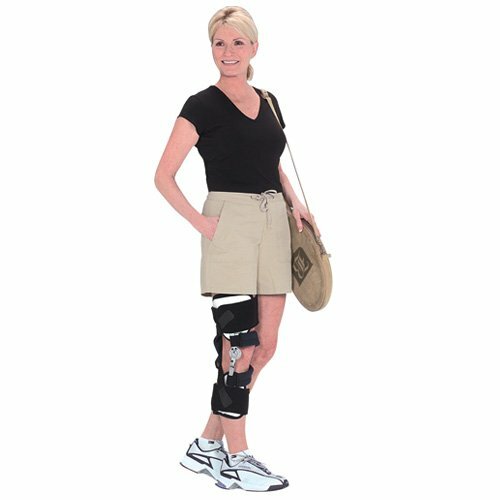 The Lerman 3-Point Orthosis, model 444, was designed to unload the medial or lateral compartment of the knee in order to relieve pain and prevent further progression of osteoarthitic deformity. The Lerman 3-Point is available in one prefabricated size that is fully adjustable and can be fit to the right or left leg. Patent Pending. Joint design and attachment permits adjustment and control in the sagittal, coronal, and transverse planes. Thigh and calf cuffs have integral adhesion layers designed to prevent migration of the orthosis. A clinical and cost-effective orthotic solution.